Hi. I’m Erin. I write at A Bird and A Bean and I love summer. Hot, lazy days with the kids. Gardening. Cookouts. Swimming. Vacations with the family. Time “off.” But, moms don’t really get a vacation….even on vacation. I actually don’t mind. Vacations look different when you have little kids. Still awesome and fun, but just not as relaxing. The Onion sums that whole thing up pretty well in this hilarious article that I like to share, “Mom Spends Beach Vacation Assuming All Household Duties In Closer Proximity To Ocean.”Cracks me up. One thing I do try to do less of in the summer whether we are on a vacation or a stay-cation… is turn the oven on. It just heats the whole house right up. No thank you. But, I like to still get the veggies in and keep things on the healthy side. We love utilizing the grill and crock-pot in the summer. But, things can get boring. Grilling the same burgers and hotdogs. Making the same old chili in the crock-pot. 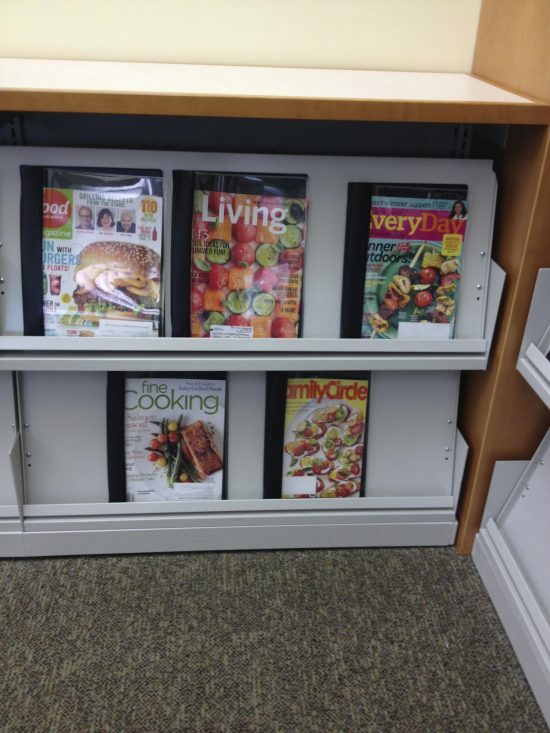 I decided to keep things interesting by checking out the library’s cookbook and food magazine selection. There are so many choices. You know all those magazines you see in the line at the grocery store and want to buy?? They are all at the library! 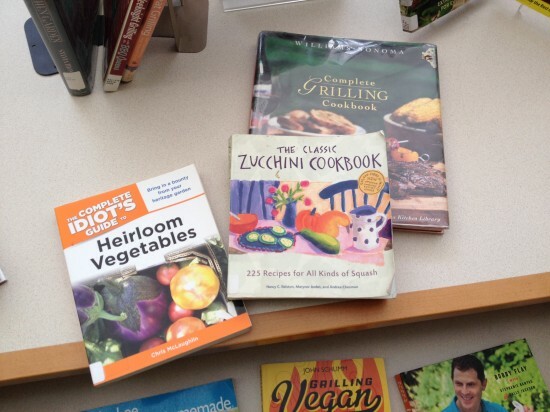 Look at this fantastic cookbook selection! And this is just a small portion of what they have. You can easily find some new fresh and healthy recipes for your family this summer. It was hard to narrow it down. 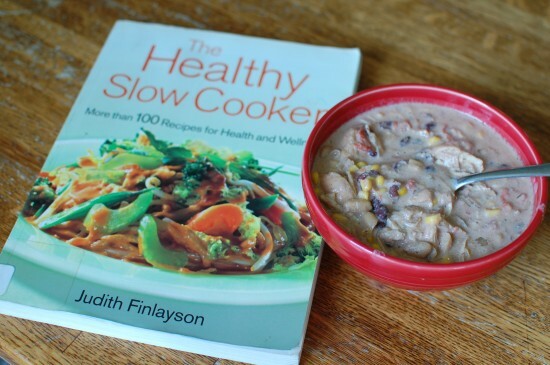 I was drawn to so many.. crockpot books, grilling cookbooks and a popsicle recipe books. I loved the zucchini and tomato recipe book idea, too. I could’ve used those last summer when I had zucchinis and tomatoes coming out of my ears. I narrowed it down to three. 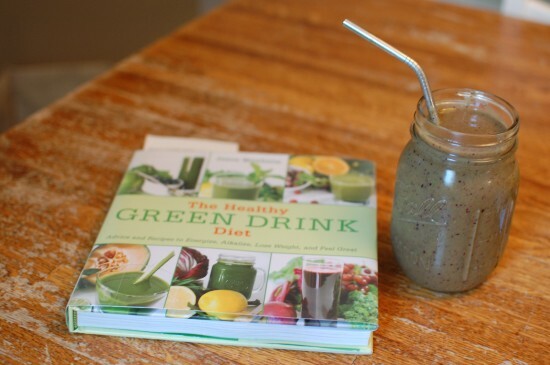 Green Smoothies, Salads and Slow Cookers. 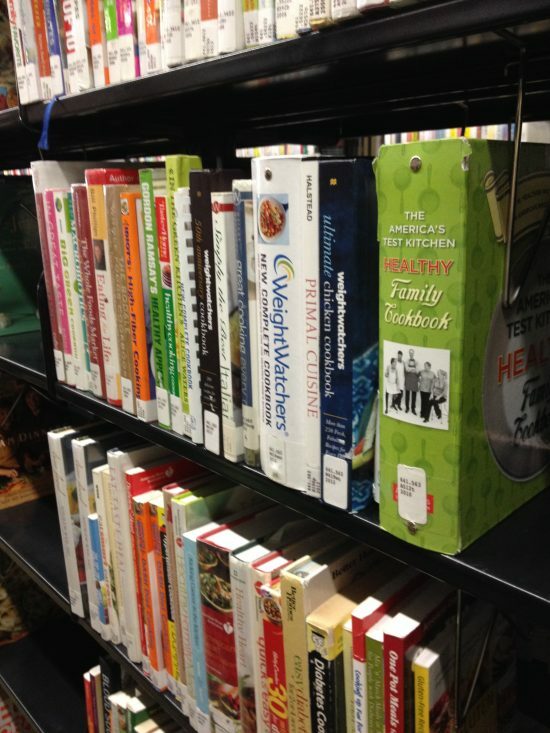 I decided to use the library books to cook healthy meals for one whole day and not turn the oven on! YES. I did it. Fill blenders with as much ice or water as you like. To roast eggplant. Spread slices on a baking sheet in a single layer, drizzle with olive oil and salt and pepper. Put in a 425 degree preheated oven… (no thanks) or on a grill set at medium high… (yes please!) for 25 minutes or until tender. Divide and put on 4 plates. I also added a can of black beans and a dollop of sour cream. Heat oil in a skillet over medium heat. Add onions and celery and cook for about 5 minutes. Add garlic and spices. Stir and cook for about 1 minute. Add all of the other ingredients (except sour cream). Stir well. There you have it. 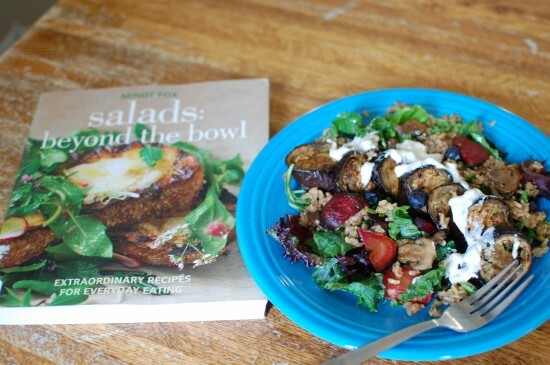 Three healthy and delicious summer meals using library cookbooks. And NO oven turned on the whole day. Thanks for reading. If you like crafts, recipes, DIY projects and local Cincy deals, I would love for you to come on over and hang out with me.